This new line of liquid coolers is suitable for big refrigeration, air conditioning and process cooling installations. Thanks wide range of models with different noise level and dimensions this range of dry coolers fulfill every customer needs. These dry coolers are available for horizontal or vertical installation. 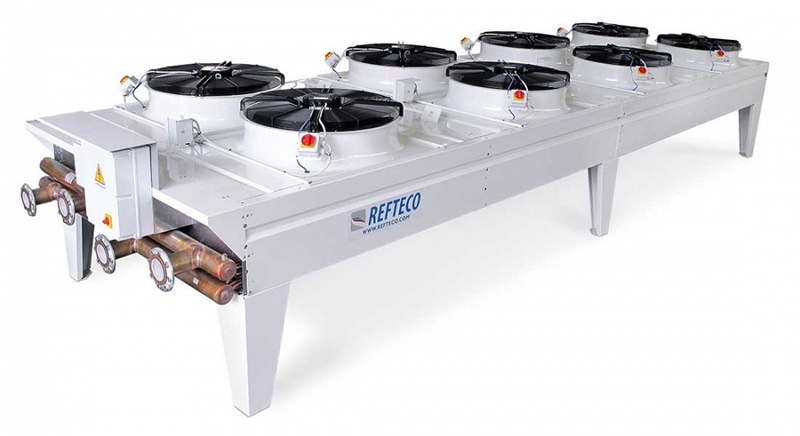 This range of liquid coolers is equipped with high efficient heat exchangers and innovative fan motors with low noise and reduced power consumption.